For every booklover or bookworm there is nothing like losing track of time browsing a bookstore. Online shopping can't compare to the authentic experience of picking up books on a whim, reading blurbs and flicking through pages. The look of a book: paper quality, cover design, comparing editions. The flow of a book….until your stomach rumbles, threatening to twist on itself. The mad rush of finding something, anything to placate the hunger; while you mentally kick yourself for losing track of time. 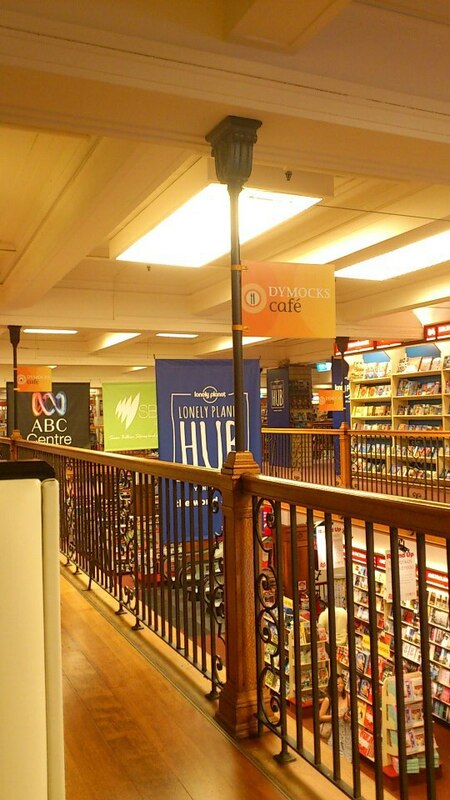 Enter Dymocks Café. 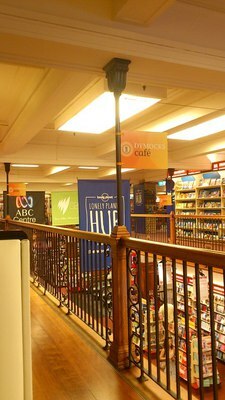 Conveniently located on the mezzanine of Sydney's flagship Dymocks store. Although not a new concept, the café's location accentuates the experience, in layman's terms 'it's simply logical'. Stylish black booth seating and metal tables line the walls of the U shaped mezzanine, with the exception of white patio-esque seating near the left entrance. 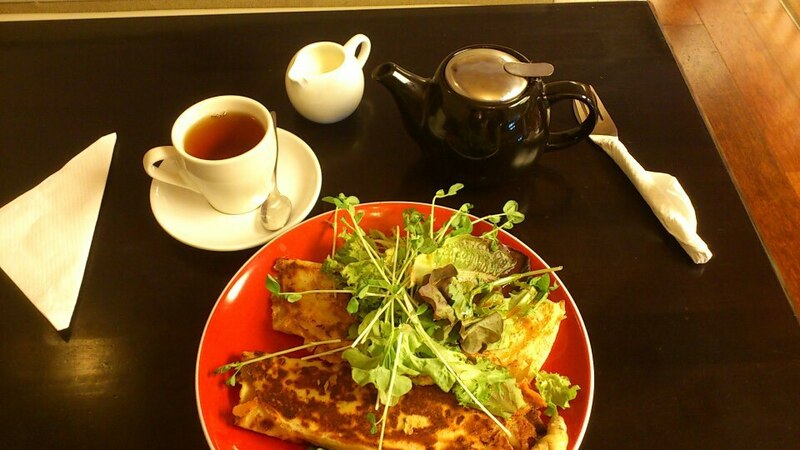 Serving a menu of breakfast items, crepes and burgers, the café is perfect for a meal in between book browsing. Whether you need a coffee to digest what you've read or some tea to ponder why you didn't think of writing it first. Simply walk in, sit and browse the menu while you wait for service. On my visit, I had the chicken crepe with mushroom, ham and tomato filling. Very filling, very creamy and piping hot when it was served. Recommended for carbonara aficionados. My English Breakfast tea was served in a teapot with a jug of milk. The full tea party crockery experience. An added bonus is the café's fantastic view of the bookstore entrance and main showroom. The bird's eye view gives a unique opportunity to scrutinise fellow bookworms in their natural environment. Play David Attenborough as you describe the interesting behaviours of humanus bookwormus. "Over there near the literature shelf, we have a specimen so engrossed in comparing different novel editions that she is unaware she is blocking the pathway." We might be able to spot a subspecies over there at what like to call the most popular shelf. This subspecies of bookworm is prone to peer influence and reads what is currently popular. See how he moves towards The Life of Pi, assessing cautiously assessing the environment, noting others picking up the copy before considering it himself". Service – 5 stars: friendly and willing to answer any questions. store with a great location/layout. Why? Cool in bookstore cafe with an inspiring view.